Yellow Owl Workshop just launched their summer product line, including a super fun collection of stamp activity kits. Pictured above is my absolute favorite–long live the mix tape! 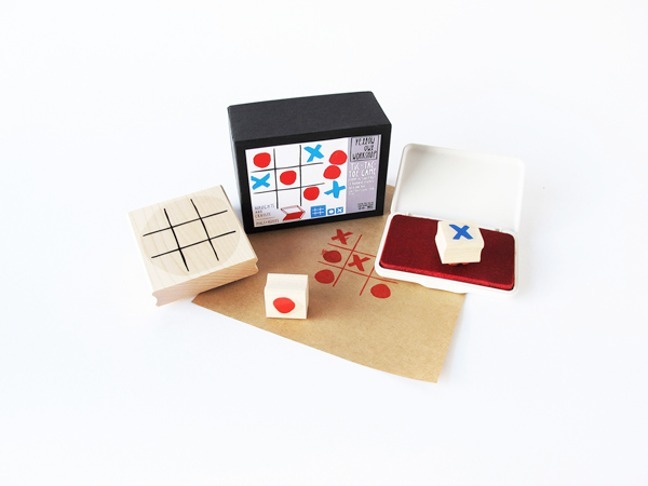 The Tic-Tac-Toe Stamp Activity Kit includes one grid stamp, one “X” stamp, one “O” stamp and one red archival ink pad with printed instructions. 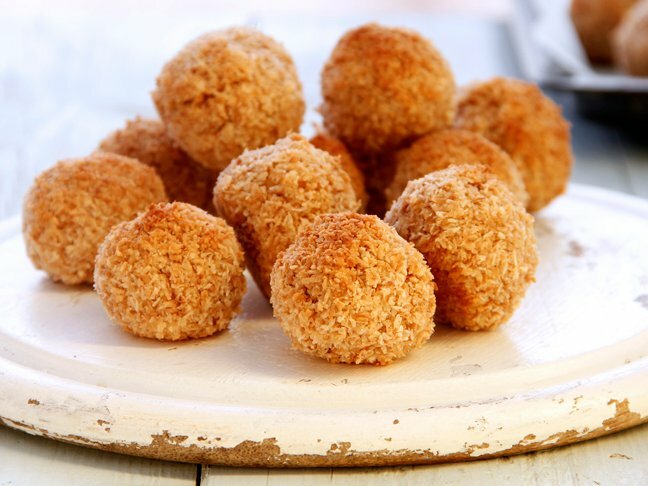 Perfect for an impromptu game of tic-tac-toe! 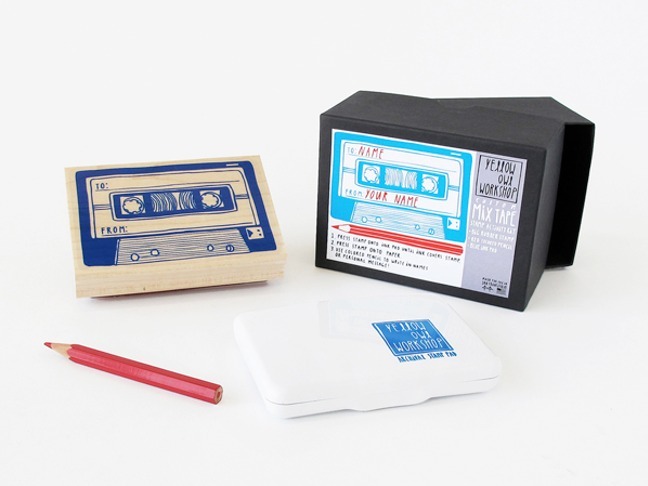 The Mix Tape Stamp Activity Kit includes one rubber stamp, one red colored pencil and one blue ink pad. Retro-inspired perfection! 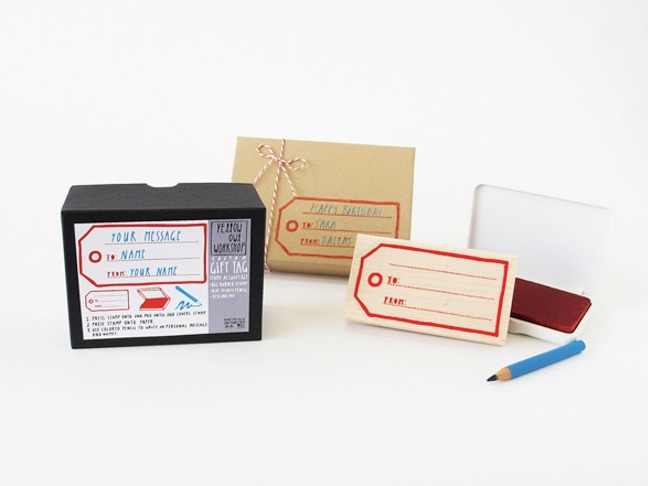 The Gift Tag Stamp Activity Kit includes one rubber stamp, one blue colored pencil and one red ink pad. Each stamp activity kit features natural rubber stamps mounted on maple blocks, packaged in a gift box. They sell for $19 on the Yellow Owl Workshop website. Such lovely little gifts!